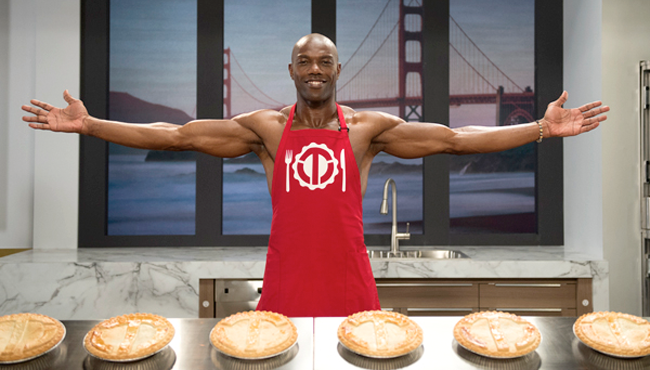 Terrell Owens gives a sneak peek into his uncharacteristic new business venture. The professional websites created for each of the players’ businesses will be launched in the coming days and include more information and even purchasable products. The #ItsThatEasy campaign was directed and produced by Frank Samuel, Jeff Reed and Lauren Bayer of Committee LA, working in collaboration with San Francisco creative team Jeff Huggins and Andrea Janetos. Joining forces with this direct-to-creative partnership enabled Wix to have its first Super Bowl campaign developed by an award-winning team that leverages years of experience with top-tier brands like Microsoft, Nike, Budweiser, Verizon, M&M’s and Visa. A leading player in the web development space, the Wix platform is used by over 58 million people worldwide to create, manage and grow their online presence. Wix was founded on the belief that the Internet should be accessible to every-one to develop, create and contribute. Through free and premium subscriptions, Wix empowers millions of businesses, organizations, professionals and individuals to take their businesses, brands and workflow online. The Wix Editor and highly curated App Market enable users to build and manage a fully integrated and dynamic online presence. Wix’s headquarters are in Tel Aviv with offices in San Francisco, New York, Vilnius and Dnepropetrovsk. Super Bowl Ads For Geeks reports again full coverage of the Super Bowl 2015 Ads. The Super Bowl 2015 will take place on February 1, 2015 in Arizona. The Super Bowl XLIX game will be played in the University of Phoenix Stadium in Glendale. NBC is broadcasting the Super Bowl 2015. The Super Bowl 2015 Halftime Show will be performed by Katy Perry. The constantly updated Super Bowl Ads List is tracking all 2015 Super Bowl Ads.